In his opening speech before the 19th National Congress of the Communist Party of China, Chinese President Xi Jinping asserted that “It’s time for our nation to transform into a mighty force that could lead the world on political, economic, military and environmental issues.” In other parts of his speech he said that “No country alone can address the challenges facing mankind,’’ and that “China is going to be a responsible global power.” These statements reveal an expansive strategic ambition for China’s rise as a global leader. But it’s not only about statements. The building of a mighty naval force and the emergence of China as a first-class maritime power can be identified as a fundamental indication of its attempts to implement such ambitions. A mighty naval force (a blue water navy) that can provide homeland security, ensure sovereign rights, contest national claims, and secure Chinese interests worldwide (including safeguarding the interests of her allies) constitutes a necessary condition for a world leader. Now that China has broken with its continental strategic tradition, the next thought that comes to mind is a saying of the naval theorist Mahan: “Now that we created a powerful navy, what are we going to do with it?’’ In other words, what is the vision that motivates China’s decision to become a global sea power? Furthermore, how will this potential be used? There are two possible strategies that first-class naval power enables. The first would be to challenge the hegemony of the U.S., either at the regional (Southeast Asia and West Pacific) or global levels. In such case a global rivalry would be imminent (including the extreme contingency of a hegemonic war). The second would be to participate in the international system as a responsible leading stakeholder that simultaneously secures one’s own interests while actively contributing to collective security challenges. But pursuing either strategy involves numerous prerequisites in order to turn maritime power into strategic options of global import. Considering the globalized character of the contemporary world, the capability and ability to control neighboring littorals and the global commons constitutes a fundamental prerequisite for a state with the ambition to become leading power. Maritime supremacy includes the key missions of commanding neighboring littoral seas, controlling regional SLOCs or SLOCs of vital interest, promoting security in the global commons, establishing trade networks via maritime routes, and projecting power from the sea to apply force and gain access. All are seen as valuable capabilities in developing the potential to achieve greater strategic objectives. In this vein, Chinese actions to solidify maritime dominance are occurring along multiple lines of effort and work within a comprehensive, whole-of-government approach. These actions include expressing extensive claims (Nine-Dash Line), attempting to establish an ADIZ, building artificial islands, installing defense facilities on these islands, elevating Sansha to a province-level city with jurisdiction over disputed maritime features, developing high-end warfighting capabilities, maintaining regular coast guard law enforcement presence, and sustaining paramilitary activity. These can all be assessed as elements of China’s multifaceted plan to dominate the South and East China Seas and establish maritime superiority in its immediate locale. A comprehensive effort is also taking place on a global scale. China’s strategy includes efforts to control critical SLOCs by establishing distant naval bases (Hambantota-Sri Lanka, Gwadar-Pakistan, and Djibouti), implementing the One Belt One Road Initiative to include planning to reduce dependence on SLOCs, exercising in distant maritime zones such as the Baltic and Mediterranean Seas, and safeguarding the global commons such as by participating in counter-piracy patrols in the Gulf of Aden. All of the above are signs of extensive intentions, but is it safe to interpret this as a harbinger of a new hegemonic rivalry? Recall the fundamentals of U.S. maritime strategy in the 19th and early 20th centuries, which implemented principles based on the Monroe doctrine and on Mahan’s theory about sea power and its role in obtaining global hegemony. Earning initial American maritime superiority included establishing regional dominance in the Caribbean Sea and reducing European influence in the region to prevent European states from becoming geopolitical players in the North American locale, such as accomplished in part by the Spanish-American War. 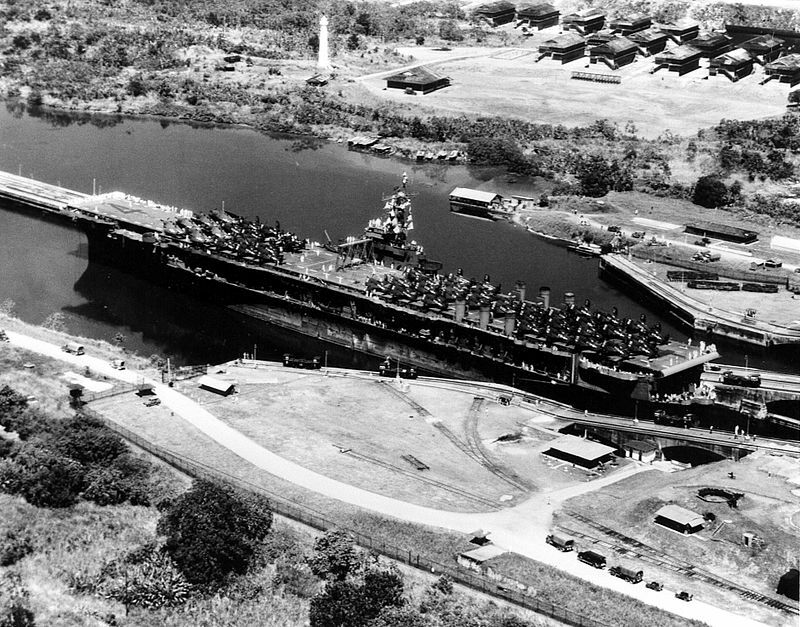 The U.S. acquired control over the Panama Canal to promote security for chokepoints that were vital for her trade networks. The U.S. also occupied distant island colonies and established naval bases (Cuba, Hawaii, Philippines, Midway, Guam, Haiti, Samoa, etc.). The Great White Fleet sailed the world to announce blue water capability and exemplify American geopolitical preeminence. Even if the similarities between the two strategies are noteworthy, other facts have to be taken into account. Many states rose to become global powers throughout history, and in many cases hegemony or great power status in international affairs was accomplished with maritime superiority. Remember the historic paradigms of Athens, the Roman Empire, East Roman Empire, Venice and Genoa, Netherlands, Great Britain, and the U.S. However, the contemporary global system is unique when compared with preceding periods. This is primarily due to globalization which has been readily facilitated by the world’s oceans and been manifested in ever-rising volumes of international seaborne trade. Interdependency has grown between states and this shapes relations and rivalries. Today a conventional war between great powers is equivalent with the MAD (mutually assured destruction) of the Cold War. This time instead of nuclear weapons the deterrent/stabilizing factor is economic interdependency (MED – Mutual Economic Destruction), especially when the vast majority of trade is seaborne and where high-end naval warfare in one region alone could disrupt global supply chains. China’s activity in the maritime domain reveals extensive strategic ambition. Furthermore, her seaward turn after millennia of continental focus and the building of a first-class global navy within a single generation is just a necessary stepping stone in her attempt to acquire a leading world role. Although offensive approaches, extensive claims, and limited (in space and duration) tensions between China and other states can’t be excluded, the elements of Chinese strategic culture would rather shape strategy characterized by patience and a well-estimated approach. Theodore Bazinis has an MA in International Relations and Strategic Studies and is a Research Fellow at the Institute of International Relations Athens, in the Maritime Strategy and Security Department.